But will it leave a smile on your face…? 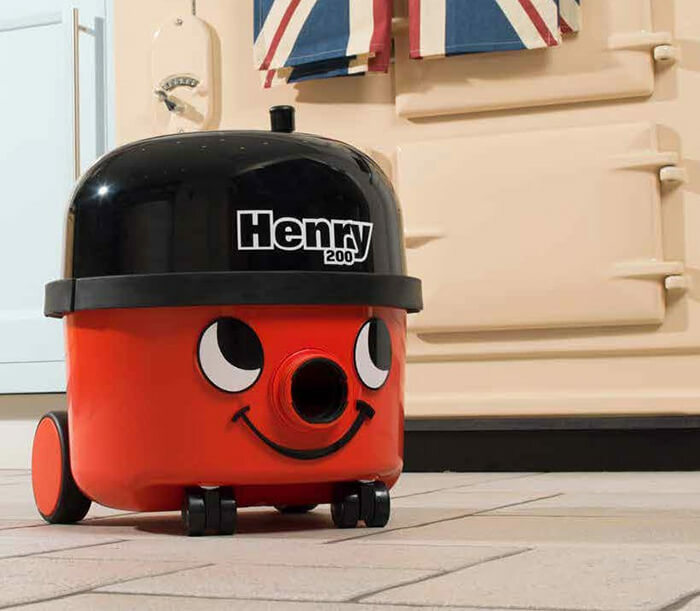 Today we’re looking in-depth at the Numatic HVR200-11 Henry vacuum cleaner. 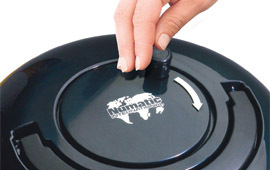 Does its affordable price, powerful suction and reputation for durability suit your needs? Let’s find out…First up, what are the highlights? 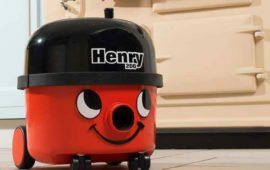 Numatic International Ltd, the largest commercial cleaning equipment manufacturer in the UK, builds every Henry vacuum and has been doing so for over 30 years. The company was founded in 1968 and has a vast catalogue of domestic, commercial and industrial cleaning and maintenance equipment that sells around the globe. 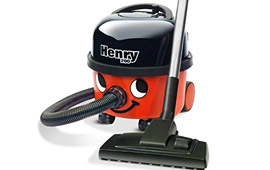 Henry vacuums are one of their most popular products, easily distinguishable by the smiling face on the canister, with the hose acting as a nose. 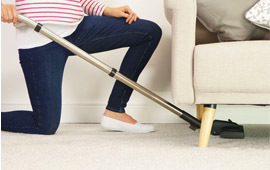 With the HVR200-11 you receive a slim crevice tool that is ideal for cleaning up nooks and crannies and will get rid of any peanuts spilt between your sofa’s cushions! The soft dusting brush is designed to clean delicate items and decorations and is perfect for sucking up the dust from shelves. 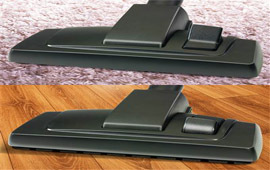 The floor cleaning head can be used on carpets and hard floors alike. Just push a button, and a set of bristles will pop out to make cleaning easier. In 2014 the EU imposed a limit on the wattage allowed for vacuum cleaners, setting it at 1,600W. 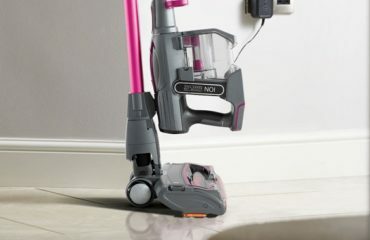 In 2017 this limit went down to 900W, so the Henry Hoover’s motor was shrunk from 1,200W to 620W. Even though the Wattage was reduced, the motor is now redesigned to increase its efficiency. It is now equally powerful as previous motors, but makes less noise and consumes less electricity. The Henry has a parking bracket on the side that keeps it from moving in case you need to pause your vacuuming. On the top, there is a carrying handle for lifting up the machine and take it up the stairs. A set of front and rear wheels let you manoeuvre the vacuum and make it follow you around the house. It’s not a fancy machine or that sophisticated, but it does the job well and therefore less likely to break. Having a vacuum with a short cord can be frustrating, so Henry includes a huge amount of it. 26 meters of power cord will be more than enough to reach every corner of the room, and the large 2.3m long flexible hose gives you an additional operating radius. While most vacuums have a push button mechanism to rewind the cord, it usually ends up breaking after a short time. Henry uses a manual rewind mechanism so you can quickly wind it back into storage. Henry uses bags to collect the dust and debris. 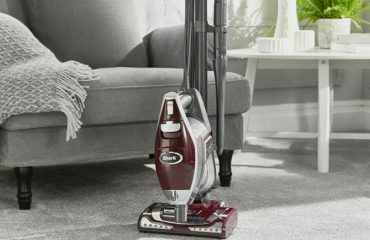 With a 9-litre capacity, you can vacuum for a long time before you need to empty the bag. Once it is full, replacing it is a straightforward process: just remove a pair of clips on the side of the motor unit, lift it off, and remove the bag that is under the filter. Replacements are inexpensive and easily found in most online stores. 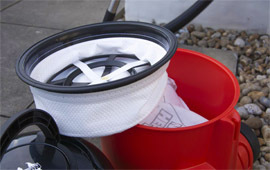 The bags have a double micro filter system that traps even the tiniest piece of dust, providing excellent filtration. 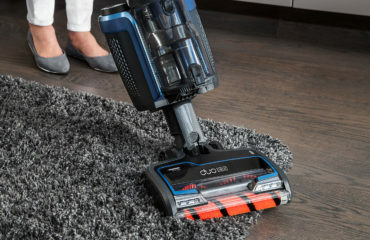 You can get a 20 pack of double-layer bags here, specifically designed to fit this Henry Hoover vacuum. 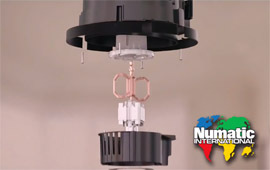 Numatic has used a clever design trick to keep the motor from overheating. The 620W motor sits on top of the suction fan so when the blades spin, air is pushed up into the motor, keeping it well below its maximum operating temperature. Just another feature of the Henry which makes it reliable, durable and less likely to break down on you. 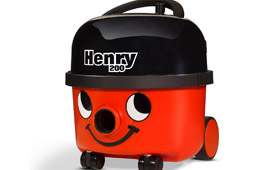 The Henry Hoover is perfect for cleaning on a budget.